Superchips AMP'D Throttle Sensitivity Booster is easy to install, delivers immediate improvement with pedal response, and will optimize your driving experience. AMP'd offers an incredibly simple solution that generates power you can feel from the pedal to the seat of your Jeep. The Amp’d Throttle Booster adjusts the vehicle’s throttle sensitivity, which reduces that dead pedal feeling while accelerating. Late model vehicles are built with an accelerator pedal position sensor to control engine fueling. The Amp’d Throttle Booster takes that stock signal of the accelerator and changes the mapping, which leads to a more sensitive throttle, giving access to more on-demand power. The addition of the Amp’d Power Switch allows you to adjust throttle sensitivity settings on-the-fly. 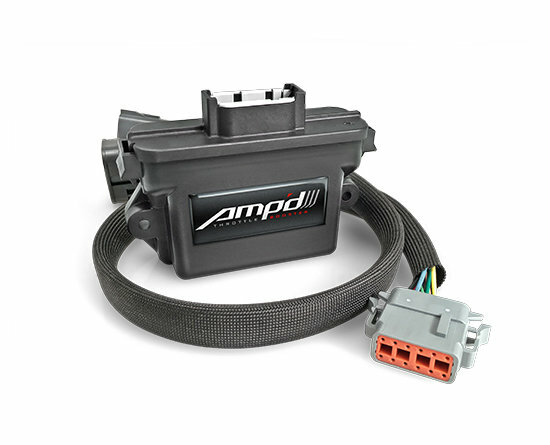 AMP'd features an intuitive plug-and-play installation using your vehicles stock connections. The adjustability of settings allows you to boost signals by 50% or 100%. If your looking for an easy install, powerful throttle response, and much more drivability on the highway then Amp'd is the product for you! Note: Throttle Booster with Power Switch is an Option. Legal in California, or other states adopting California emissions standards, only for racing vehicles that may never be used, registered or licensed for use, upon a highway. Can not be shipped to California residents. Intense Throttle Response: This throttle booster provides a range of throttle response modes that span over all your driving needs, from your typical daily driving to extreme off roading. This throttle booster works by taking the stock accelerator pedal sensor signal and re-configures it for your ECU. 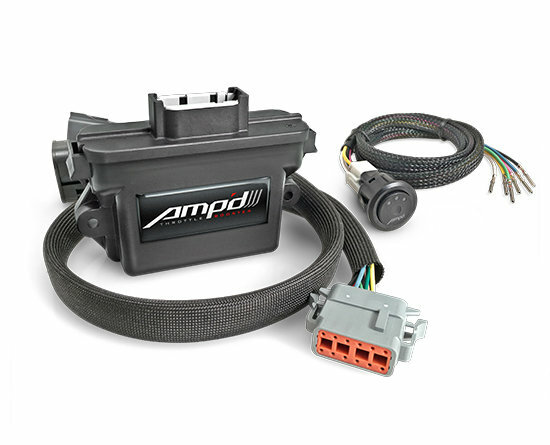 Plug-and -Play Installation: Amp'd features an intuitive plug-and-play installation using a vehicle's stock connections. 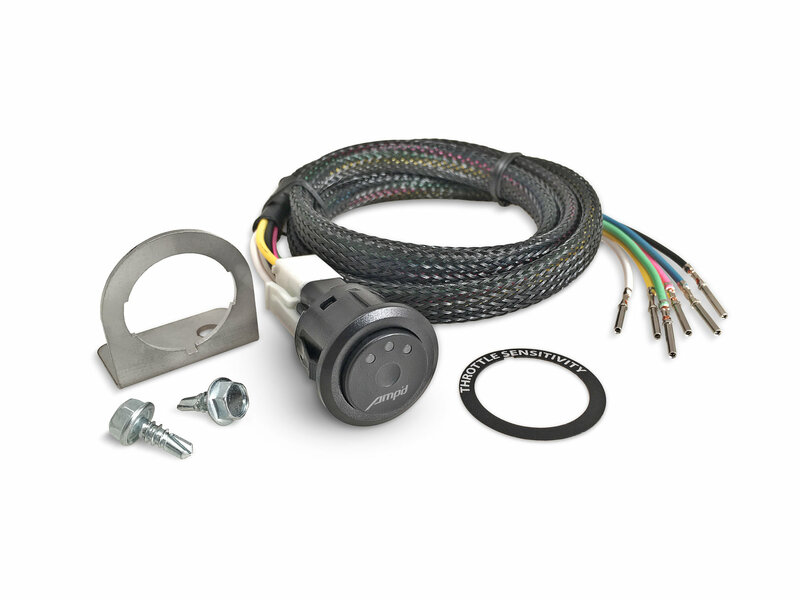 This unit easily connects the booster's wiring harness to your vehicle’s accelerator pedal position sensor. Adjustable Settings: You can adjust Throttle sensitivity settings allowing you to boost signals by 50% or 100%. With the Addition of the Power Switch Model you can adjust sensitivity on-the-fly.